The provision of medical facilities to rural areas has been a major developmental objective of Pakistan. The government has undertaken several programs to train and deploy women doctors, lady health visitors, and dispensers in their health facilities in the rural areas of the country. However, district Umerkot in Sindh, similar to many other rural districts in Pakistan, is faced with a severe shortage of human resources in the medical sector. Community World Service Asia is addressing this limitation through implementing effective and affordable interventions so that progress towards SDG Goal 3, on achieving health and well being, is successfully met. 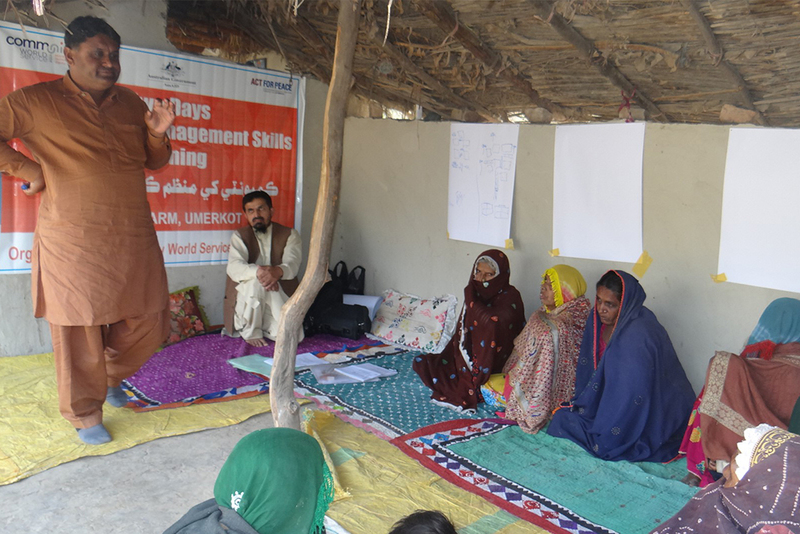 In its third year of implementing a Health Project in Umerkot, with the financial support of Act for Peace (AFP) and PWS&D, this project was initiated after consultation and coordination with the all district health authorities and local communities in Umerkot. Rural Health Centres (RHCs) in three villages of Umerkot have been set up to respond to a broad range of health issues including general hygiene, communicable disease prevention, awareness on safe motherhood and safe deliveries, vaccination for women and children, breastfeeding, family planning and access to safe drinking water. Six Health Committees, comprising of men and women of the communities have been formed in the villages of Nabisar Road, Hyderfarm and Dhoronaro in Umerkot. These are the villages where each RHC is established. 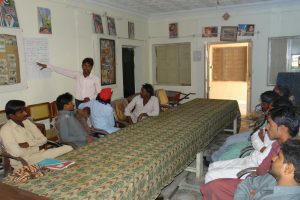 Each of these health committees consists of ten members from each village. An advocacy forum, made of ten health activists, has also been set up at the district level to address emerging health issues and to facilitate the successful functionality of the health centres. These activists represent government line departments, civil society organizations and the local community from the catchment areas of where the health facilities are established. Acknowledging the significance of community engagement, the advocacy forum and its work is seen as a back bone for the success of the project and key to providing sustainability to the health centres. 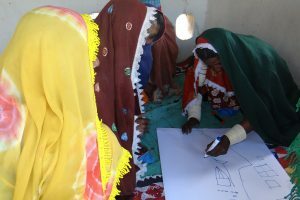 The training titled, Community Management Skill Trainings (CMST), was designed for members of the village health committees to strengthen their capacities on health issues and clearly define their roles and responsibilities. Health committee members were expected to clearly identify health related problems of their village and establish linkages with line department and prioritize health concerns on their own after taking the training. Altogether, a series of six, two day trainings on CMST with all the village health committee members. In each of the three locations, separate two day training sessions for men and women were conducted. In addition, a one-day orientation session on Leadership Management Skills Training (LMST) was also conducted for the representatives of each line department, civil society organizations and the local community. A total of ten participants attended this training. With enhancing the awareness, skills and capabilities of the participants, the training aimed for the Health committees to better plan and manage their relevant activities and effectively utilize the local resources available to them. It also provided the participants an opportunity to strengthen their abilities to work towards breaking the vicious cycle of poverty and overcome communal health concerns, specifically that of women and children. The purpose of empowering the health advocacy forums is to facilitate positive change and to see development of new policies that will tackle unmet and emerging health needs at district level. In total six, two days CMST training sessions were conducted with the village committee members. In each of the three locations, two days training session for men and two days training session for women were conducted. 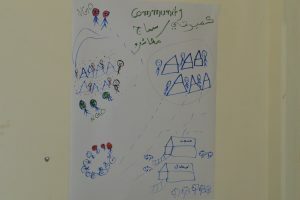 30 males, 10 each from the three locations and 30 women, 10 each from the three locations participated in the training. Apart from that, a one-day orientation session on Leadership Management Skills Training (LMST) was conducted for the representative of line department, civil society and communities. In total 10 participants attended this training which included one woman and nine male members.